The age-old adage that a hockey team can take on the personality of its captain certainly applies to Chris Kelly, the 37-year-old veteran NHL forward who wore the ‘C’ for Team Canada at PyeongChang 2018. 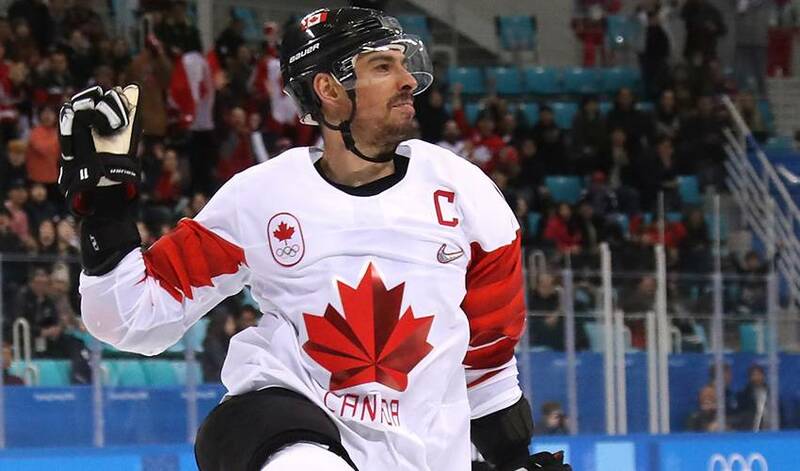 PYEONGCHANG, South Korea – The age-old adage that a hockey team can take on the personality of its captain certainly applies to Chris Kelly, the 37-year-old veteran NHL forward who wore the ‘C’ for Team Canada at PyeongChang 2018. The 22 players and three goaltenders who wore the Canadian colours in the glow of the Olympic flame were a blue-collar, lunch-bucket collection of professionals from all corners of the hockey map. And what they lacked in elite skill, they more than made up in their character. Take Canada’s quarterfinal game against Finland. When the Canadians took a 1-0 lead in the third period, they nursed it until the final buzzer. Kelly led the way, blocking shots, logging minutes against the Finns’ top scoring trio and playing a smothering defensive style. “That’s kind of our identity, a hard-working, defensive-minded team and I thought that's exactly how we played and we know that's what is going to bring us success,’’ said Kelly after the game. “We're not a run-and-gun team, that's tough to play. We battled for two periods, we stayed composed, we didn't beat ourselves." And when the Canadians came up short in the semifinal against Germany, losing 4-3, Kelly didn’t run and hide from the media like some of his teammates. He took the hit, answering questions from the media about why the Canadians lost. “They were the better team for the first 40 minutes,” acknowledged Canada’s captain. That’s leadership, and that’s why Kelly was named captain. Less than 24 hours after the stinging loss, Kelly played key minutes in Canada’s 6-4 win over the Czech Republic in the bronze-medal game. He dug deep to lead the Canadians to winning an Olympic medal. “I think this is something we can be proud of and we worked hard to get this,” he said. Like each and every one of his teammates, Kelly had no idea he would end up a short slap shot from the Demilitarized Zone between North and South Korea when his season started last September. After being let go by the Ottawa Senators after last season, Kelly wound up in Edmonton in September with the Oilers on a professional tryout – and when that did not work out – he returned home to Ottawa in mid-November and gave himself until the end of the month to keep training. Kelly was starting to look at life after hockey when the Ottawa Senators asked him to join their AHL affiliate in Belleville. That, in turn, led to a Hockey Canada call-up at the Spengler Cup tournament in Switzerland – and eventually to the Canadian roster with a ‘C’ on his jersey on the Olympic stage. Like each and every of his teammates and for most of the players on the 12 teams in the competition, Kelly thought he would watch the 2018 Winter Olympic Games from afar. Like most of the entire hockey world, he was shocked when the NHL pulled the plug on having its star players compete on the world’s biggest sports stage. So when Kelly rolled up to the Athletes’ Village and was outfitted with his Team Canada gear, he was thrilled how he was getting to share the breakfast table with the top lugers, skiers, bobsledders and figure skaters on the planet. “We are like little kids right now,” he said upon his arrival. And then he went to work, proudly being Captain Canada. "There is a balance between realizing how big this moment is and trying to put it to the back of your mind so you can go out there and do a job, and do it to the best of your ability. "You are learning throughout your entire life on how to handle different situations and you think this is the biggest stage you can imagine – and there is another one, then another one and then another one. With his Olympic experience now complete after doing his part with a game-winner as part of two goals and an assist in the tournament, Kelly signed a contract with the Anaheim Ducks this past Sunday for the remainder of the 2017-18 NHL season. Kelly, who won the Stanley Cup with the Boston Bruins in 2011, will bring veteran leadership and playoff experience to a talented Ducks team. With a bronze medal around his neck, Kelly is heading to the West Coast to help his new teammates in their quest to raise some silver above their heads this spring.